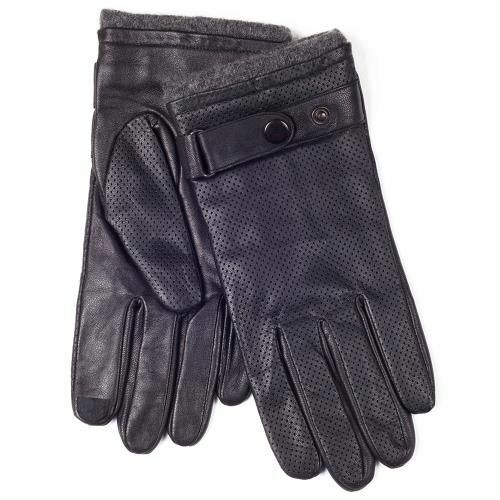 These smart looking punched leather glove are designed with a strap detail on the cuffs for superior style and fit, and are made from genuine warm fleece lined luxury leather. 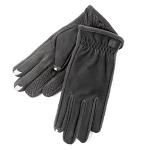 The conductive tips on 2 fingers of each hand make it easy to operate handheld and other touchscreen devices while wearing gloves, including mobile phones, MP3 Players, cashpoints, Petrol Pumps and GPS devices. 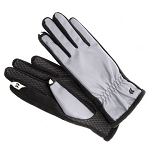 The gloves work because the conductive thread on the thumb and index fingers conveys the electrical impulse from your skin to all capacitive touchscreen devices.